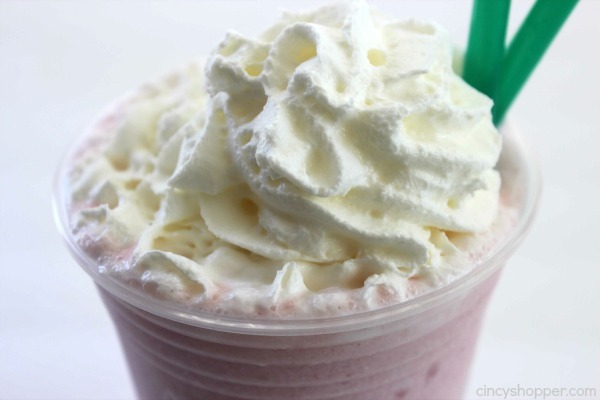 This CopyCat Starbucks Cotton Candy Frappuccino recipe will save you a trip and some $$’s this summer. 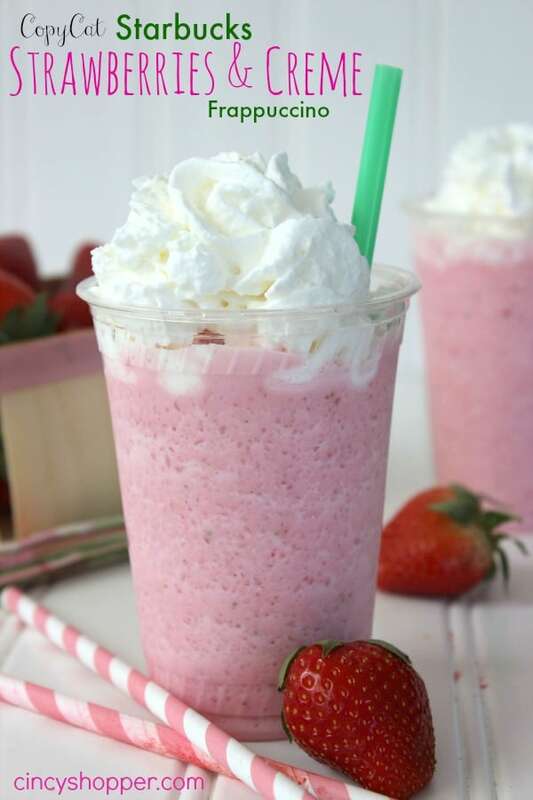 The recipe is super simple since it takes a Vanilla Bean Frap and adds some raspberry syrup to give you the flavors found in cotton candy. Did you notice Starbucks released a bunch of new Frapps for the summer? 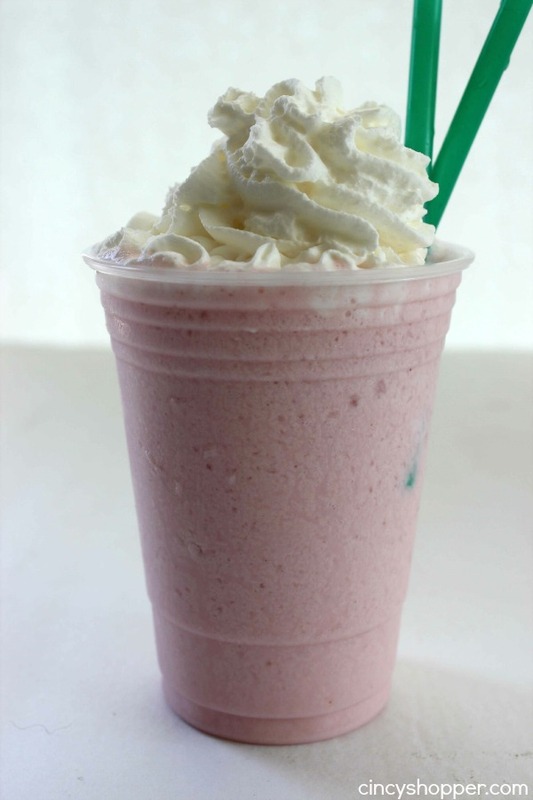 Cotton Candy Frap was one of the awesome 6 new flavors available. My daughter and I make homemade Starbucks all of the time. It saves us time from running to Starbucks and also saves us money. 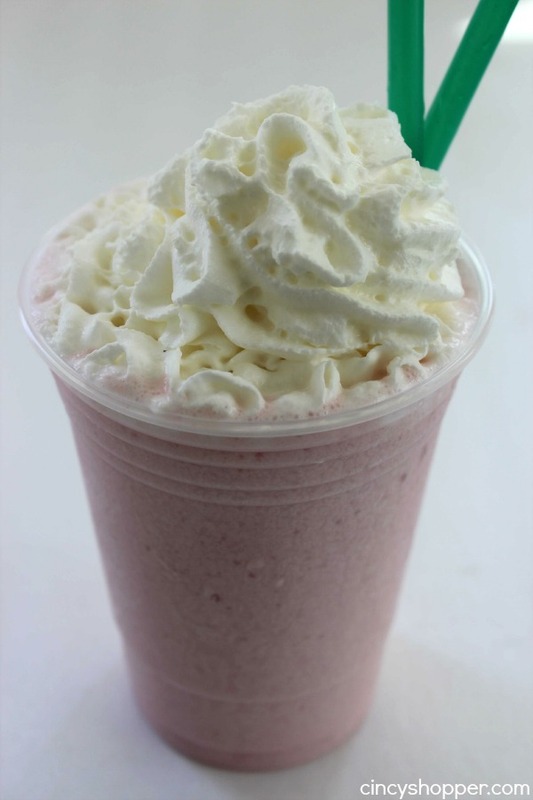 Our favorites are our CopyCat Starbucks Strawberries & Cream Frappuccino and also our CopyCat Starbucks Passion Tea Lemonade. 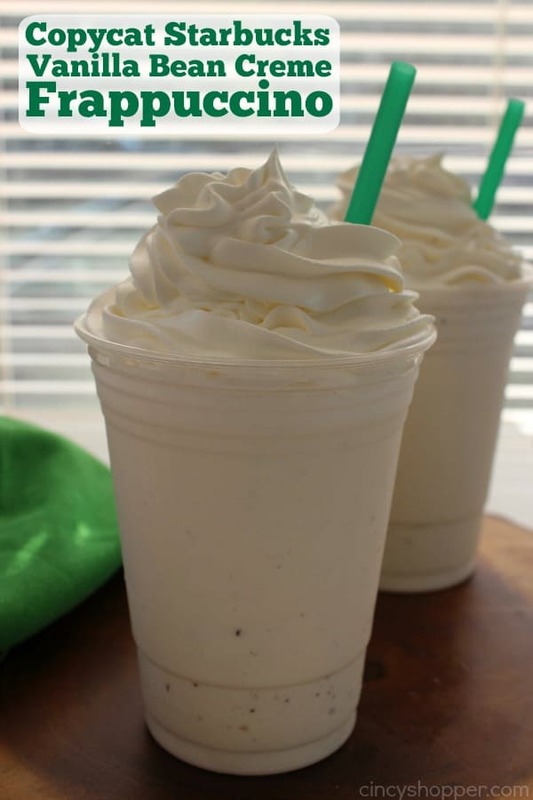 Since Starbucks released some of their secret menu items, we have been trying them all. Then we make our favorites at home. The cotton candy was the first one we were anxious to try. We were curious if it would really taste like cotton candy. 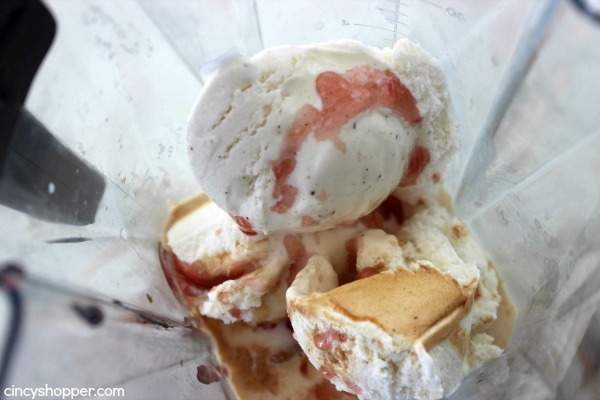 To our surprise, it has a hint of the flavors you would find in a big bag of cotton candy. The secret to achieving the flavors is raspberry syrup which we knew we could make at home. During the summer months, cold drinks are a must for us. Come fall, we really like to make CopyCat Starbucks Caramel Apple Spice Cider. There is never much of a need to spend $4 on a drink. I can make everyone at home a drink for the same cost. 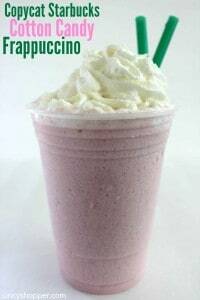 Not many ingredients are needed to make this new Starbucks Cotton Candy Frappuccino at home. 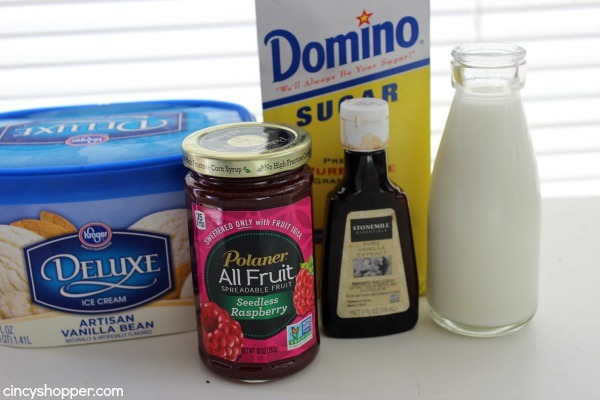 You will need some vanilla bean ice cream (look for one with bunches of vanilla bean flakes), some raspberry preserves (purchase seedless if possible), sugar, milk, and vanilla. Super simple. 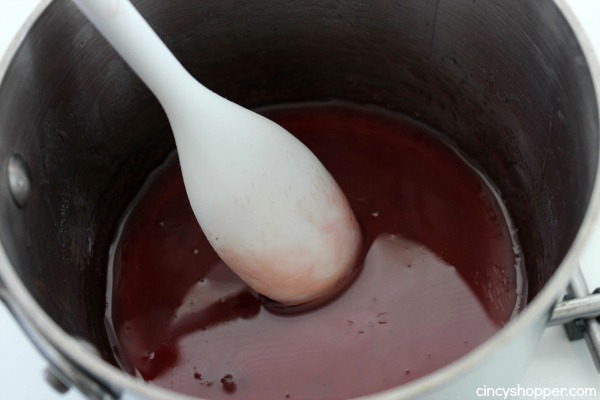 Place syrup ingredients in small saucepan and bring to a boil, stirring frequently. Put ice, milk, vanilla and ice cream in blender. Add raspberry syrup (and 1 drop red food coloring for pinker color) and blend for 20 seconds or until you reach proper consistency. 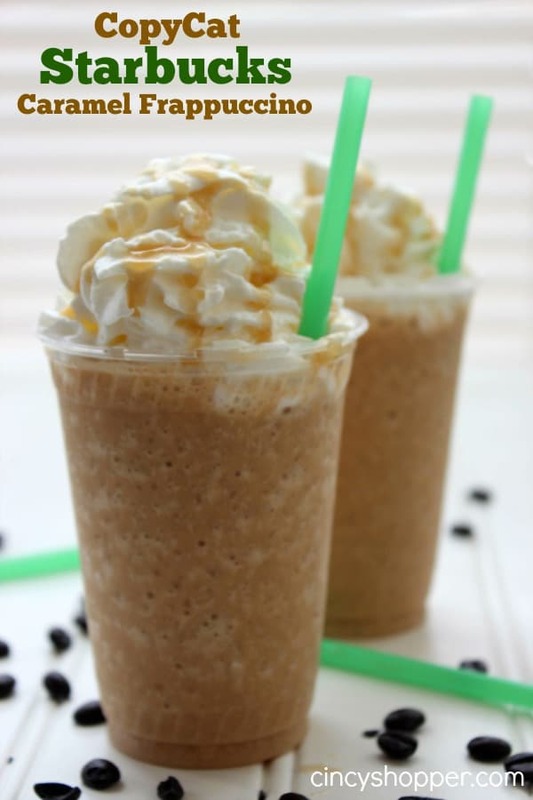 Do you make your own copycat Starbucks drinks at home? If not, you should start saving yourself some $$’s. Making homemade is super simple. Plus MANY more Copycat Starbucks drinks, desserts, and sandwiches can be found in my CopyCat Category found here.